Progress West Healthcare Center, a member of the BJC Healthcare system, is located in O'Fallon, Missouri at the intersection of Highways 40 and K. It opened in 2007 with 72 in-patient beds and with plans for expansion. 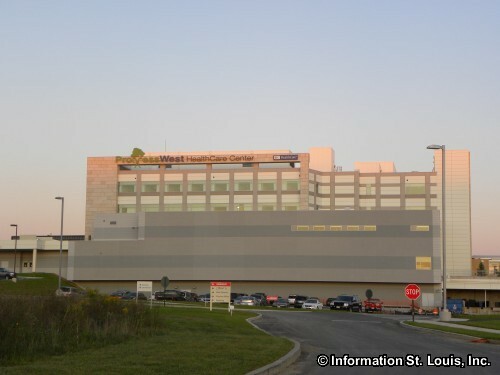 With over 455 board-certified physicians on staff in over 25 different specialties, Progress West Healthcare Center meets the healthcare needs of O'Fallon by providing an innovative patient-centered environment. 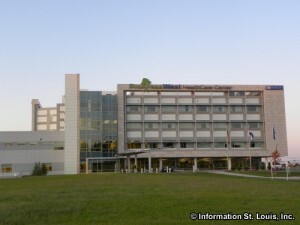 The hospital was designed to get the care-givers closer to the patients. A nurse workstation in each room allows the patient greater access to the nurses for questions and concerns; and the pharmacists spend more time on the patient floors to answer questions and provide instructions regarding medication for the patients.